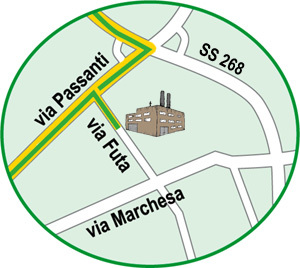 To reach us: Airport of Capodichino (NAPLES) . 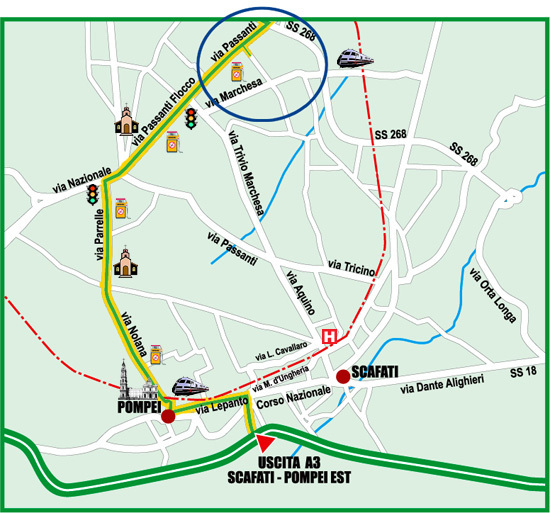 To reach us by motorway A3 Napoli-Salerno: exit Scafati-Pompei Est, turn left towards Pompei, go along Lepanto street and then along Nolana street, at the traffic lights turn right and then go on to Passanti Flocco street. After 2km we’ll find Futa street on your right. From Rome: Motorway A30 (Caserta-Salerno) direction Salerno, exit Palma Campania and go on to Angri (SS268) till exit Boscoreale. Turn right and at 300mt you’ll find Futa street on your left.